Los Baños, Philippines – An internationally respected plant pathologist with more than 20 years experience in agricultural research in the developing world has been named as the next director general of the International Rice Research Institute (IRRI). A citizen of the United States, Robert (Bob) Zeigler, 54, takes over from Ronald P. Cantrell who retired as IRRI’s director general in December 2004. Dr. Zeigler worked at IRRI from 1992 to 1998 as a plant pathologist. During this period, he led the Rainfed Lowland Rice Research Program (1992-96) and the Irrigated Rice Research Program (1996-98). Keijiro Otsuka, chair of IRRI’s Board of Trustees, said he was delighted that Dr. Zeigler had accepted the Board’s offer. “We were very fortunate to have had a shortlist of world-class candidates for the director general position and I would like to take this opportunity to thank all those who applied and especially those who took part in the interview process,” he added. Dr. Zeigler earned his Ph.D. in plant pathology from Cornell University in 1982, his Masters in botany (forest ecology) from Oregon State University in 1978, and his B.Sc. 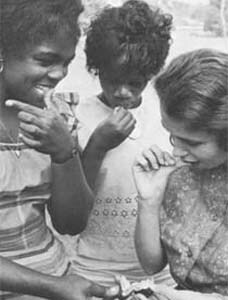 in biological sciences from the University of Illinois in 1972. After graduating in 1972, he joined the Peace Corps and spent two years as a science teacher in the Democratic Republic of Congo in Africa (formerly known as Zaire). He then returned to the U.S. to complete his studies before joining in 1980 IRRI’s sister center in Colombia, the Centro Internacional de Agricultura Tropical (CIAT) as a visiting research associate working on cassava. In 1982, Dr. Zeigler went to Burundi to work for three years as a technical adviser for the African nation’s maize program at the Institut des Sciences Agronomique du Burundi. 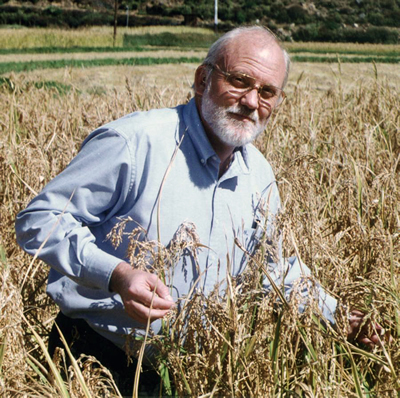 He then returned to CIAT as the institute’s senior staff plant pathologist until 1992, ultimately taking over as the head of its rice program. It was his success at CIAT that led IRRI to offer Dr. Zeigler his first position in the Philippines as the leader of the Institute’s Rainfed Lowland Rice Research Program. “We are especially pleased to be able to appoint as director general someone who has worked here so successfully for as long as Dr. Zeigler,” Dr. Otsuka said. After six years at IRRI, Dr. Zeigler left to become professor and head of the Department of Plant Pathology and director of the Plant Biotechnology Center at Kansas State University in the U.S., before briefly working as director of the Generation Challenge Program of the Consultative Group on International Agricultural Research (CGIAR) based in Mexico. Dr. Zeigler will assume his new position as IRRI’s director general on 1 April 2005.